Today I was looking at my pictures (because it is something I love doing and I do often) I stumbled into this one! It is from our wedding in Morocco, four years ago. We were extremely fortunate to have two wedding parties! Yes we did! Why? Well we come from two different countries in two different continents and we both have big families who love to celebrate! Therefore, we agreed to have one wedding in Morocco (where I am from) and one in Oman (where my husband is from). I was about 5 years old when I started telling my family( my aunts mainly) that I was married and that my husband was a pilot, I was saying that while carrying my mom’s handbag, wearing my sister’s high heels, and a scarf on my head imagining that it was my long beautiful hair! Was it an epiphany or was it a mere pure coincidence that 18 years later I actually did marry a pilot! I guess I will never know. I met my husband in a birthday party. One would think that I met him on a flight (since I was a flight attendant). A flight going to Paris, when he came out from the cockpit to ask for a cup of coffee and he was dazzled by how beautiful I looked, nope! Sorry to disappoint you all but that did not happen lol We met through friends and we became friends lol. This picture was taken during a celebration that took about 11 hours. Usually Moroccan weddings take this long. In these 11 hours the bride has to change outfits about 7 times, it sounds like a difficult task for the bride however and without a doubt, it is the most beautiful night in any Moroccan girl’s life. There is something magical about it! 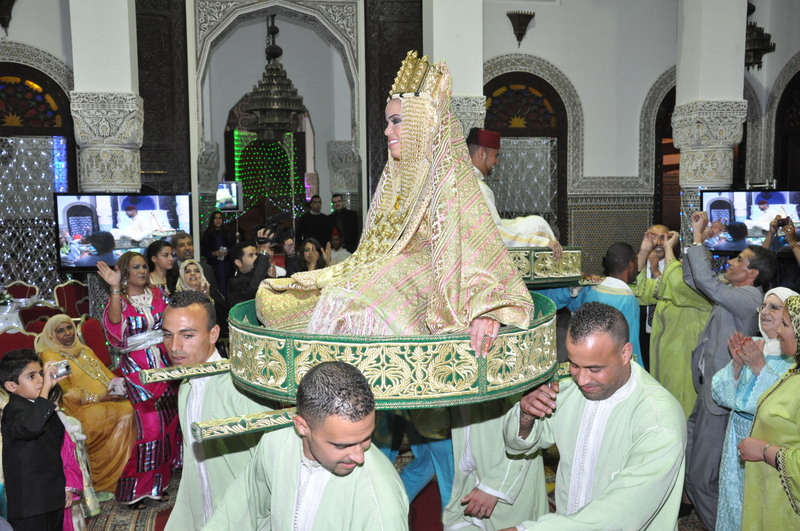 Moroccan weddings treat the bride like a princess from a fairytale; she gets to wear all these beautiful clothes while all her family and friends are there with her celebrating this beautiful night! She gets to sit on a palanquin of gold that her brothers/cousins/close friends, will carry, up above their heads, while dancing! Showing the world how proud they are of her. She will get to wear the most expensive, beautiful and traditional jewelries she probably has ever seen! She will be a Cinderella that night, a Cinderella with no curfew! 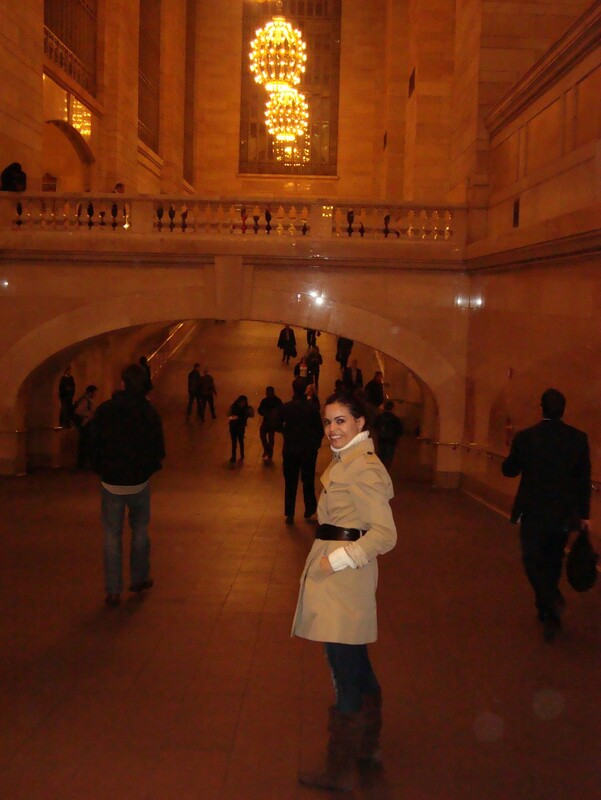 (And with both shoes on) I was very lucky to have that night in my life! I just hope, one day I will see my own daughter having her own Moroccan fairytale wedding. We sure do need to visit it together! You ll love it! And don’t forget about all the fresh vegetarian food we will have😋!